Umm. Next, automated priest machines? Are you a sinner? Don't worry, there's an app for that. 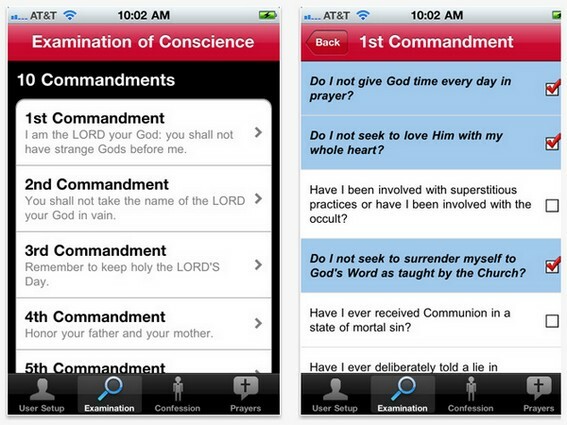 The Roman Catholic Church has approved a recent iTunes addition called Confession, a $1.99 app that bills itself as "the perfect aid for every penitent." As you can see above, it lets you pick a commandment and tick off all your sins, keeping a running tally to bring into the confessional with you -- a sort of anti-tasklist, if you will. Can't find your particular misstep? No problem! You're able to add your own, custom dastardly deeds, filling in those gaps the app's authors didn't think anyone would fill. Now all it needs is a random sin selector: shake the phone to instantly get a wicked suggestion. That certainly could make boring Thursday nights at the dormitory a little more exciting. iTunes salvation: Roman Catholic Church approves Confession app originally appeared on Engadget on Tue, 08 Feb 2011 07:35:00 EDT. Please see our terms for use of feeds.